A week after finding a TV partner in its hastened push into video, Mashable is laying off several editorial staffers. "We are certain this is the right direction for Mashable. But that doesn't make it any less difficult to say goodbye to our friends and teammates," Mashable CEO Pete Cashmore wrote in a memo posted on LinkedIn. Chief content officer Jim Roberts and CRO Seth Rogin are among those leaving the company. Both joined Mashable from The New York Times in 2013. 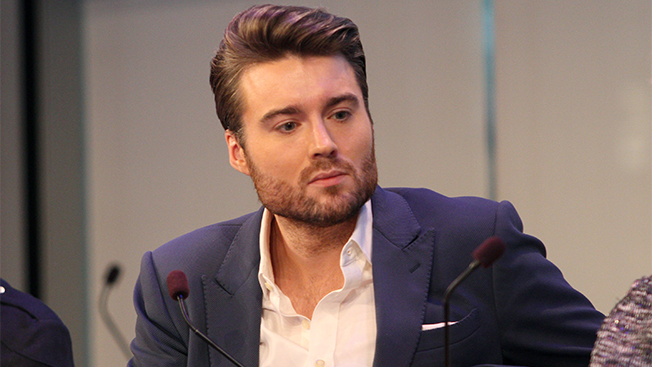 "Jim has been instrumental in building Mashable into a truly global media brand," wrote Cashmore. "He has built an editorial team that stands for trust, credibility and accuracy, allowing us to compete with some of the world's most established media companies." Rogin, meanwhile, will move to a "new venture," Cashmore wrote. I've worked with some amazing digital journalists in my 2 1/2 years at Mashable. You know who you are. Thanks for making it such a gas. The site will scrap coverage of world news and politics, laying off the entire politics team, and will instead focus on technology, web culture, science, social media, entertainment, business and lifestyle. Mashable had hired NPR's Juana Summers as its first politics editor last summer. As it pivots to video, the digital media company is bringing on TV veterans to oversee content. Greg Gittrich has been named chief content officer, joining from Vocativ, where he held the same role. At Vocativ, Gittrich oversaw the series Dark Net for Showtime. He was previously vp of NBC News digital. Mashable's new CRO will be Ed Wise, who ran the branded content sales teams at Funny or Die and Turner Broadcasting. Wise will be charged with increasing Mashable's branded content offerings as well as bringing their ads to television. Today's staff shake-up comes after last week's $15 million investment, led by Turner, which includes TBS, TNT and CNN in its stable of properties. Mashable becomes the latest digital media company to get a foothold in linear television following the likes of Vice, Vocativ and Vox. Mashable, which will present for the first time at the Digital Content NewFronts in May, had been pushing heavier into video, especially premium content. Last June, the company launched Mashable Studios, which creates serialized video programming and branded entertainment. "What our advertisers value most about Mashable is the same thing that our audience values: Our content," Cashmore wrote, adding that branded content "has become our fastest growing revenue stream over the past year. Content is now at the core of our ad offering and we plan to double down there." This isn't the first time the 11-year-old company has changed course. Mashable launched with a heavy emphasis on tech news but has branched out into broader topics including global news and politics as well as entertainment and lifestyle. That all changes today. Cashmore says all the affected staffers have been notified. He is planning an "All Hands" meeting with the remaining staffers this afternoon.